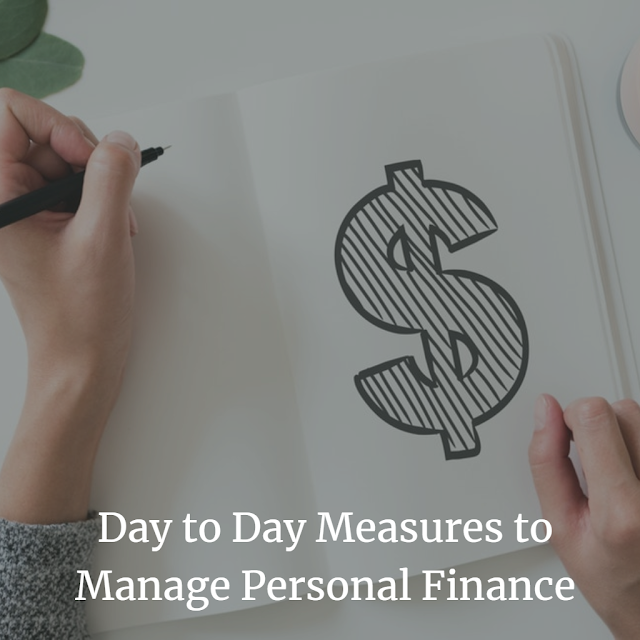 Day to Day Measures to Manage Personal Finance - Finance Dunia Home Loan | Car Loan | Education Loan | Life Insurance | Car Insurance Etc. A popular Jamaican saying goes in this manner, “Save money and money will save you”. True indeed! We all want to save money to financially secure ourselves and meet any future financial needs. However, many times the intent is not reflected in our actions. Many forget that savings can start only after cutting down on expenses. No, we do not mean you need to cut down your holidays and vacations. Here are six simple steps that you can follow to manage your personal finance. Make an expenditure report everyday: Make a list of all your expenditure on a daily basis. Studies show that a person can save an average of 20% of his expenditure by re-evaluating his expenditure report. Jot down all your family expenditure at the end of a long day and see where you are spending that extra buck. Make a conscious effort to reduce on the things that are not necessary. Share this with your kids too. This small effort makes your kids financially aware. You also get that extra family time with your kids as a bonus for your hard work! Plan your shopping raids: Pulses, cereals, clothes, shoes… The list is endless. Wants are always increasing. Going shopping every week only increases this. It also reduces the time you get for other activities. So, go shopping only once a fortnight. Keep a paper and pen handy on your kitchen rack or in the living room. Make a list of all the things that you would need on a daily basis and shop only once a fortnight. You will save money plus you will get more time to take your kids to the park or go for a dip in the pool. Offers, offers and offers! : Plan your shopping during the sales season, which usually coincides with festive seasons. The product prices are much lower. It is also a good time to buy and save some cash. Also you could buy at larger department stores or online stores that give discounts or at places where prices are much lower. Compare first, and then spend. Energy and fuel consumption: Switching off lights when not needed; not using kitchen appliances for tasks that can be done manually; walking to the neighborhood market; using the public transport are some simple techniques to save on energy and fuel costs. Needless to say, it helps you save money. Plus, the ‘feel-good’ factor of saving the environment. These have their health benefit too. Bring the party home: We all like to party and have a good time. But partying outdoors in lavish places costs a fortune. Instead, you can dine and have a dance party at home. Not only would the freedom and comfort be more enjoyable, it would be much cheaper and add to your savings. Expensive gadgetry could be a waste: No denying that we are living in a world of gadgets. A television in every room, a computer, a laptop, a tablet, a smartphone, printer, faster internet, a larger television, an external hard drive, faster laptop, new headphones, advanced smartphone, new camera, 3-D-enabled television, quad-core computer… Do you really need all of these? Do you really need to upgrade your gadgets often? A better understanding of your requirements would surely help in this regard. Understand your requirement and avoid running behind fancy technology. Make sure that over-use of technology does not create a hole in your pocket. Technology needs to be consumed only where it serves a fitting purpose. It can help save a lot of money. Sometimes loans to finance some of your personal needs can also be an option if your daily expenditure has burnt a hole in your pocket. One of the financial institution which offers personal loans without any collateral and also multiple repayment options is Tata Capital. Visit Tata Capital to know more about loans for any of your personal needs.